Nhà cung cấp: BestDeptStoreUSA - giá Amazon: 42.99$ - ships from nj, united states. FEATURES - We jam packed all types of temperature recording features you needed into 1 simple to use device. No more storing a barrage of obsolete thermometers in your medicine cabinet. 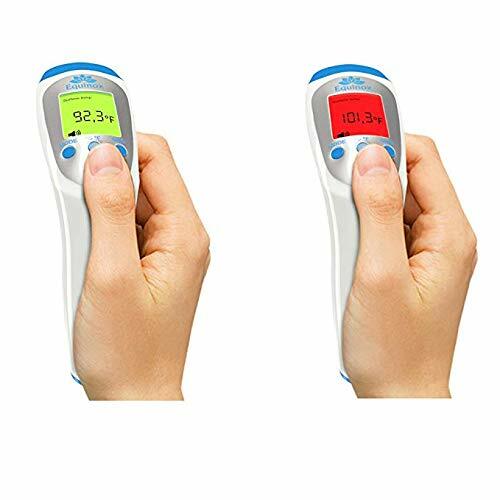 With 1 of our non-contact thermometers you can easily take Body Temperature, Surface Temperature, and Ambient Room Temperature WITHOUT ever touching the object or person. Equipped with a 3-Color changing LCD screen, easily identify if an object or person is normal, medium or too hot. FAST AND SAFE - Get almost instantaneous reads with our quick infrared technology. Whether you're measuring a hot coffee, the coolness in your room on a hot summer day, or your child, you can do so without a hassle thanks to our quick and reliable thermometer. 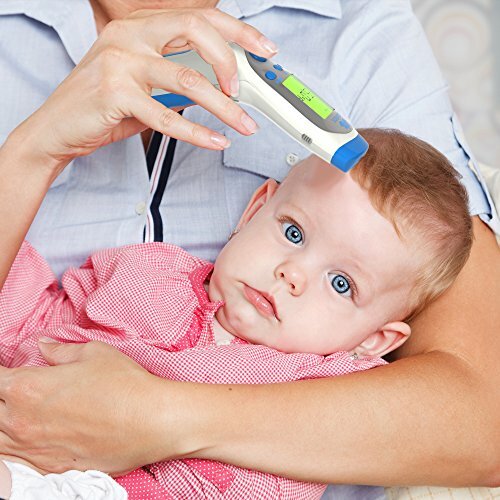 Our premium thermometer also has a built in high temperature alarm that sounds once a fever is detected. 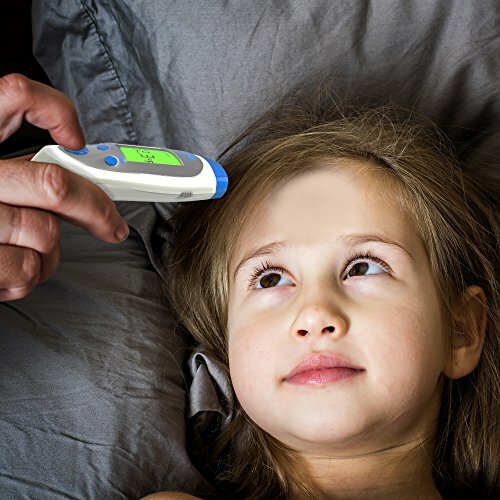 The backlight will turn red and a sound will be made to alert you of a high fever. 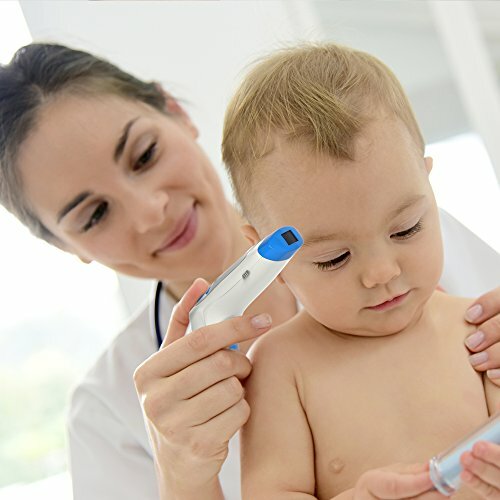 MOST RECORDINGS - No need to write down the last recorded temperature during a fever. This thermometer has built-in memory which can record upto 32 readings taken at anytime. Temperature can easily be taken in Fahrenheit or Celsius, with the push of a Unit button. 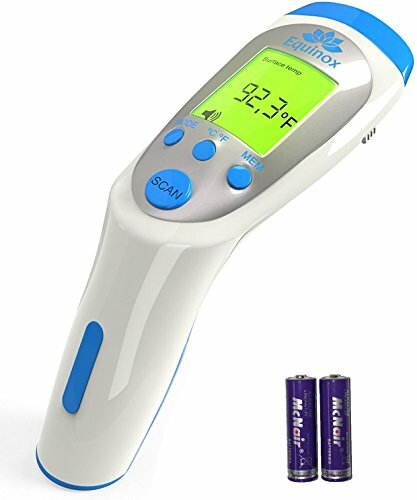 Other thermometers are tricky to use and often times don't convert properly. INCLUDED - Inside the nice gift box you get 1 Non-Contact Infrared Thermometer , 2x AA Batteries, 1 Soft Suede Carrying Pouch, and User Manual.